SCREAMKING is the Chicago, Illinois-based Heavy Metal band made it's debut performance on October 23rd, 2011 opening for Canadian Metal Legends ANVIL at Club Landing in South Bend, Indiana. 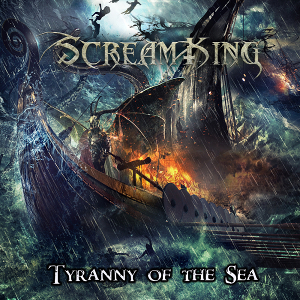 The band released their first full-length album "Evilibrium" in 2013 and their second album "Tyranny Of The Sea" in 2017. The second one was released through Platinum Dungeon Records on March 1st and was produced and mixed once again by Rafael Hernandez and Joe Lawson, mastered by Jon Scrip of Massive Mastering and the cover artwork was created by Chicago's internationally acclaimed artist Drake Mefestta. 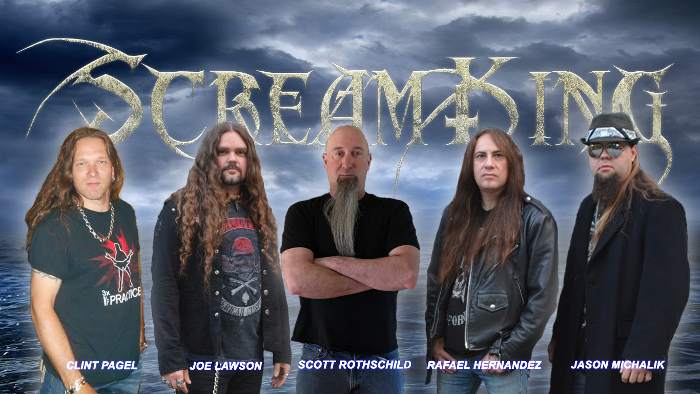 After the first release, SCREAMKING has shared the stage with hard hitting and legendary Metal acts such as ANVIL, RAVEN, DSG (David Shankle Group), METAL CHURCH and HELSTAR to name a few. For fans of Melodic and aggressive heavy metal.